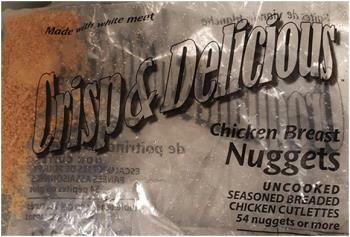 An investigation into an outbreak of Salmonella Enteritidis has led to the recall of Crisp And Delicious chicken breast nuggets sold in at least four states. Since mid-2018, Canada has detected 15 outbreaks of salmonellosis involving raw chicken. Numerous cases have been diagnosed resulting from consumption of incompletely cooked raw-breaded chicken portions and nuggets.